After 18 years, the Baronne Street Neighborhood Association has a new leader for the first time, and the group may soon have a new name as well. The association board is seeking ideas for a new name from its members, new president Lynn Alline said at a neighborhood meeting Tuesday night. The primary concern, she said, is that defining the neighborhood by Baronne Street “doesn’t really represent the territory.” To her point, a new resident in the area responded that he had seen a sign for Tuesday’s meeting but had not realized it referred to his neighborhood. Baronne Street stretches 3.5 miles across New Orleans, starting downtown on Canal Street by the Roosevelt Hotel, through the skyscrapers of the Central Business District, past some of the most dangerous corners in Central City, past the small Uptown commercial district soon to be anchored once again by Martin Wine Cellar, and ending at the house on Dufossat made infamous by MTV’s most recent New Orleans season of The Real World. 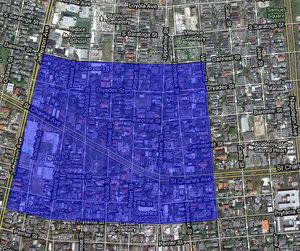 Only the last five of these blocks are in the neighborhood association, which instead covers about 40 Uptown blocks from Prytania to Danneel between Jefferson and Valence, or roughly two to four blocks on either side of upper St. Charles Avenue. Joe Friend, who founded the association 18 years ago and was president until Alline took the reins this year, offered a simple explanation for why he chose the group’s name: “I live on Baronne Street,” he said, drawing laughter from the 20 or so association members at the meeting. Those exchanges have been out of use since the 1960s, Friend said, but the Twinbrook name returned just after Hurricane Katrina. When the Baronne Street Neighborhood Association asked the state legislature to authorize a tax district for private security patrols in 2006, they chose the name Twinbrook Security District for the board that would govern the fee collections. Another option suggested at Tuesday night’s meeting would be to name the neighborhood after its most prominent landmark, the Latter Library. And, if neighbors strongly prefer the original “Baronne Street” moniker, the name won’t change at all, Alline said. Formal discussion of the name did not begin at Tuesday’s meeting, however. The board will be mailing out its annual dues reminders over the next month or so, Alline said, and members are encouraged to include their preferred names when they return their payments. The deadline for submissions is May 1, and the association board will make a decision afterward, Alline said. If a new name is chosen, the person who submitted it will win a gift certificate to St. James Cheese Company on Prytania Street — clear across the neighborhood from Baronne Street. – The Twinbrook Security District has increased its coverage from New Orleans Private Patrol to a full 24 hours a day, up from the 20 hours it contracted for previously. – The association is considering donating several large new reading chairs to Latter Library at a cost of roughly $650 apiece. The library will also be hosting a cleanup event on April 2. – Alline also suggested replacing the broken street tiles in the neighborhood. They cost $25 per letter to replace, so a fundraiser may be necessary, she said. 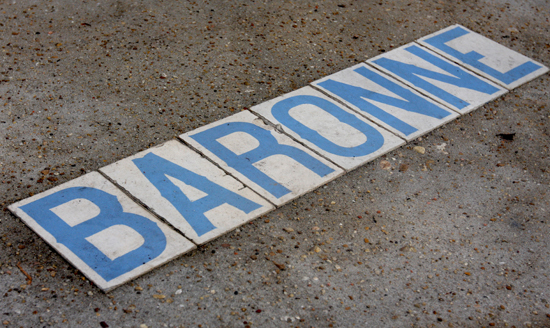 The contest for a new name for the Baronne Street neighborhood sounds very good! I like the idea of naming it “Twinbrook”. I vote to stick with Twinbrook. I vote for Twinbrook since it is historical.